While NHL fans have to wait until October 8 for the season to begin, the USHL is kicking things off a bit earlier. 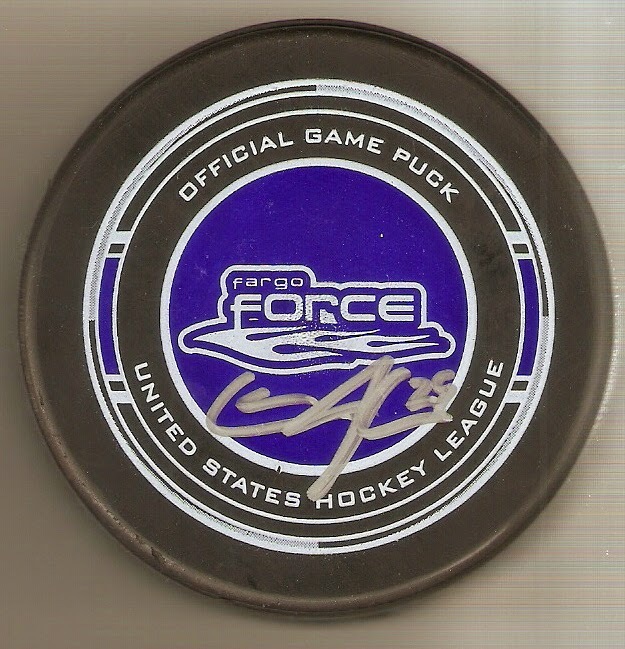 My local team, the Fargo Force will have their home opener tonight against the Madison Capitols. 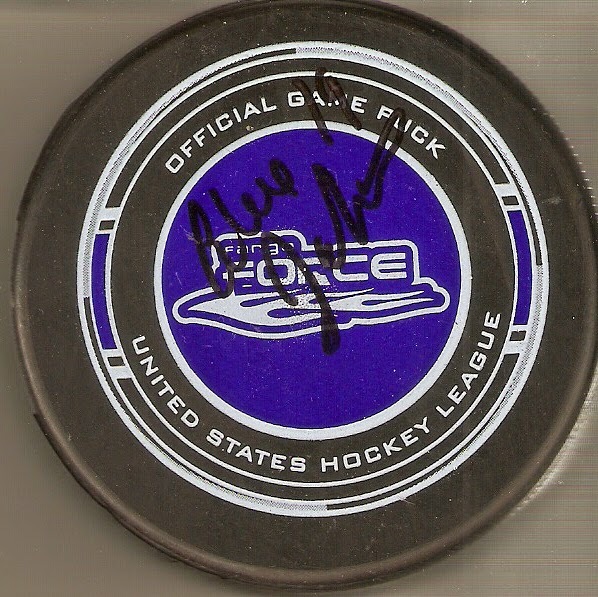 To mark the beginning of the new season, I am showing off the autographed pucks I got last year, along with one game-used item I got my hands on the year before that. The game-used item is a puck that arrived in my hands after flying over the glass. 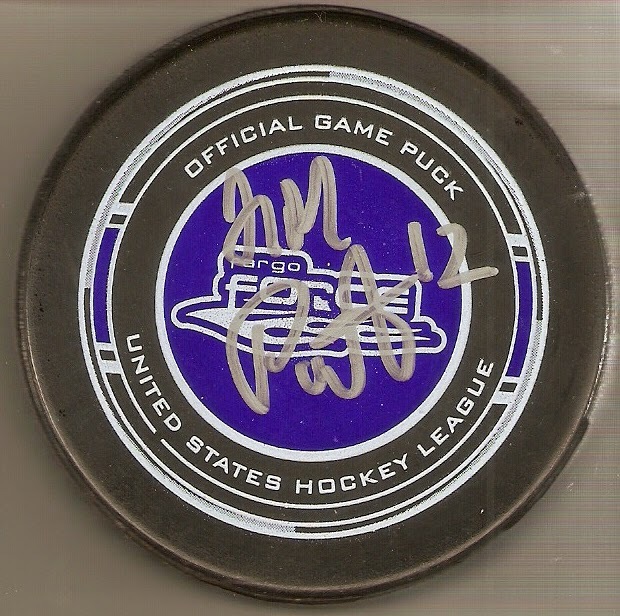 The puck came my way during a March 2, 2013 game against the Lincoln Stars. About halfway through the third period, it flew off of the ice, banged off of the vacant seat next to me, and fell right between my feet. 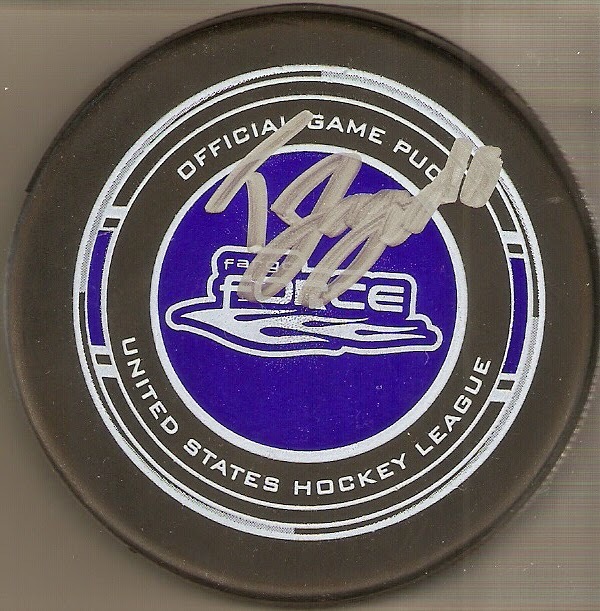 It is actually my second puck caught at a hockey game, but I'll write on the other one at a later date. 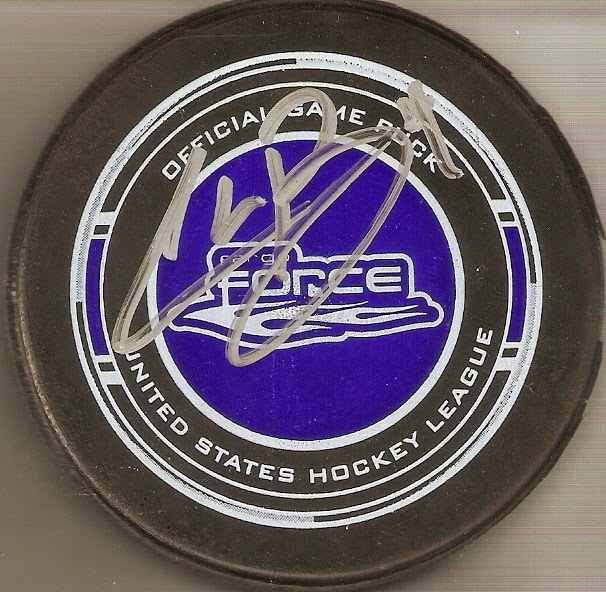 At each Fargo Force game, one player is featured as the game's "Player Spotlight." It is primarily a way to get to know the players, and each spotlight is accompanied by a cover on the game's program, a "getting to know..." video during one of the intermissions, and an autograph signing at the end of the game. 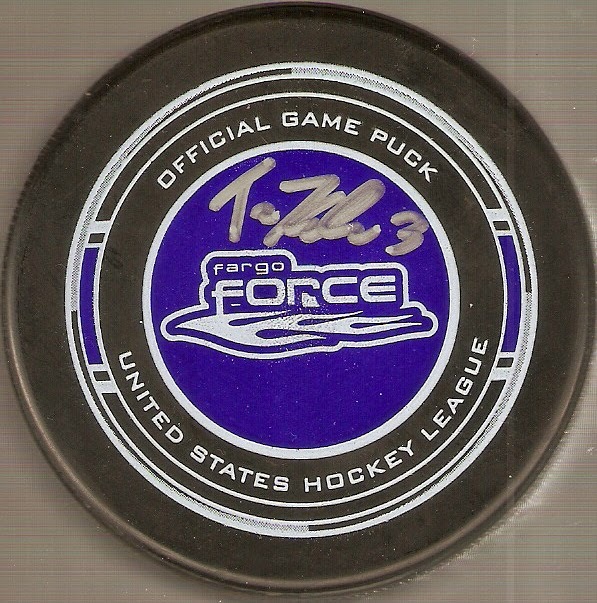 Of course, I attend every one of these when I am at a game, and by the end of the season, I had six autographed pucks. Here's a quick look at my pucks, with a short bit of information on where they are playing this season. That's it for last season, and with the 2014-15 season starting tonight, I hope to be showing off a lot more in the future. How do you display all your cool items? My wife was nice enough to give me our entire basement for my sports stuff, but I filled it up in less than 2 years.